The war in Afghanistan started on October 7, 2001, and has since altered the lives of countless U.S. troops, veterans and military families. 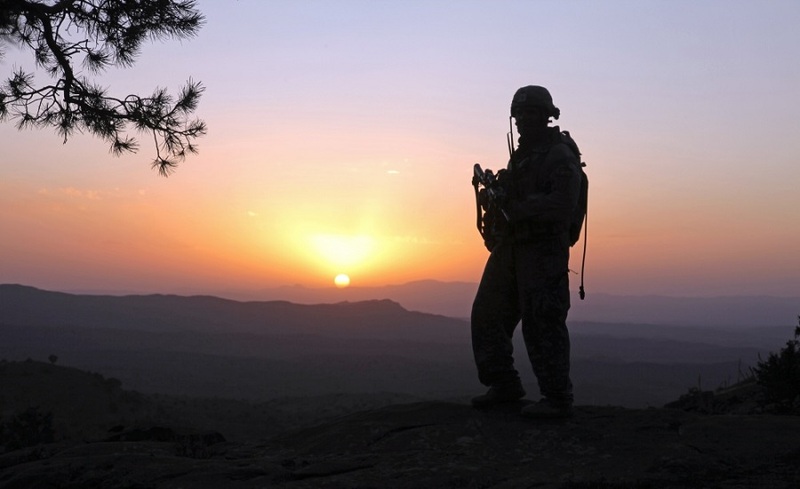 A U.S. Army soldier is silhouetted by the setting sun in the mountains near Sar Howza in Afghanistan's Paktika province on September 5, 2009. After returning from a war zone in 2010, a U.S. Army officer submitted an op-ed to her local newspaper. The soldier’s name was Lt. Col. Jaimie Leonard, who concluded her column with stirring request. “Take measure of what have you done for your country and ask yourself if you could do more,” she wrote. 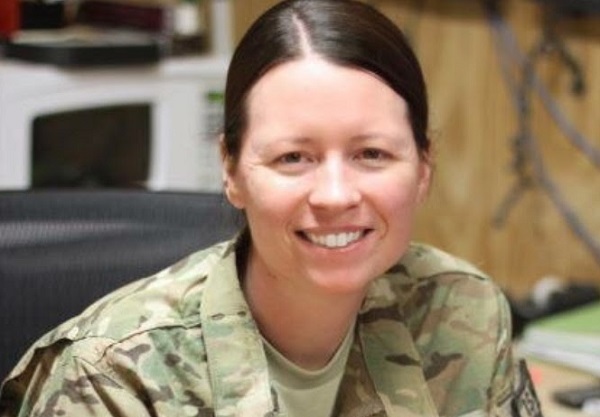 Three years later, Lt. Col. Leonard was backing up her words with action in Afghanistan when she was shot and killed by a disgruntled Afghan soldier. On that terrible 2013 day, the Leonard family lost a beloved daughter and sister. America also lost a future leader. “She had that drive and determination to never, ever quit,” the fallen hero’s older sister, Liz Harman, told me. Like Lt. Col. Leonard, our military community has spent the past 17 years refusing to quit. Their valor, grit and perseverance has been on constant display since October 7, 2001, when President George W. Bush officially launched the U.S.-led war in Afghanistan. While the commander-in-chief repeatedly warned of a long struggle, I’m not sure he anticipated the war continuing 17 years and two presidents later. An estimated 14,000 troops are still in Afghanistan, with the latest U.S. combat death suffered on Thursday. In all, 2,414 Americans have made the ultimate sacrifice during our country’s longest war, including eight so far this year. During his 2001 address to the nation, President Bush also told a story about a military child. The little girl who wrote that letter is now 26 or 27 years old, while a baby born on the day the war began can now enlist with parental consent. These staggering statistics underscore not only the conflict’s unparalleled length, but its effect on children, including hundreds of military kids who are growing up without a parent. Crissie Carpenter was pregnant when her husband, Marine Lance Cpl. Andrew Carpenter, was shot and killed by an enemy sniper in Afghanistan. For the past seven years, their son, Landon, has been getting to know his dad through stories and pictures. Another military child, Darren Baysore, is growing up without his father, U.S. Army Staff Sgt. Thomas Baysore Jr., killed in action just over five years ago. The soldier helped save a 9-year-old Afghan girl’s life before losing his own later in the deployment. “I remember falling in front of the door and my son asking what was wrong,” Staff Sgt. Baysore’s widow, Jamie, told me about the excruciating moment that changed her and Darren’s lives forever. Sergeant Devin Snyder was the daughter of a U.S. Navy veteran. A “girly-girl” who loved high heels, purses and the color pink, she was also a tough young U.S. Army soldier who went from competing in high school track meets to patrolling the mountains of Afghanistan when she was just 20 years old. Shortly after Sgt. Snyder and three fellow soldiers – Sgt. Christopher Bell, Sgt. Joshua Powell and Spc. Robert Voakes – were tragically killed in a 2011 roadside bomb attack, Devin’s mother was missing her daughter while also thinking about the other grieving military families. The courage I’ve witnessed while interviewing dozens of Gold Star families is comparable only to the wounded veterans I’ve had the privilege of meeting. During one visit to Walter Reed, I spent time with a young Army Ranger, 1st Lt. Nick Vogt, who had just lost both of his legs in Afghanistan. Despite injuries that many would consider catastrophic, 1st Lt. Vogt was undeterred. “I’m doing great,” he said. Of course, some of our nation’s veterans are not doing great. As Medal of Honor recipient Flo Groberg recently reminded his fellow veterans, “even the strongest” of warfighters can suffer from post-traumatic stress and other invisible wounds. Veteran community leaders like Groberg are urging America’s returning warriors to speak up about their postwar struggles. These stories only scratch the surface of the astounding sacrifices made by our country’s Armed Forces since 2001. At the same time, they serve as a window into a small, selfless fraction of our population. The men, women and children of our nation’s military community are national treasures. As the struggle in Afghanistan enters its 18th year, a fallen warrior’s call to action – “take measure of what have you done for your country and ask yourself if you could do more” – reminds us that no matter how long our troops are in Afghanistan, we must pay attention to their valiant deeds and urge our fellow Americans to do the same. U.S. Army Lt. Col. Jaimie Leonard, 39, died on June 8, 2013, of injuries suffered from small arms fire in Zarghun Shahr, Afghanistan. While paying tribute to the war in Afghanistan’s heroes on this solemn anniversary, let us simultaneously pledge to spend the next year asking ourselves that simple, yet profound question posed by Lt. Col. Jaimie Leonard. Can we do more? Two weeks ago my son-in-law said goodbye to his pregnant wife and 8-month old son for his second deployment to Afghanistan. Afghanistan should have been a punitive mission. Go in sharp and hard, let the warlords know we have their geo-locations and the means to reach out and touch them if need be, then leave. Nation building has turned out to be a complete fiasco. We’re never going to turn Afghanistan into Vermont. I’d really like to know what it is we’re trying to accomplish there, and what is the plan going forward? You are right, unless the ideology is defeated it will not change. The military provided an opening, the rest should be up to others. why oh why are we still there??? heroin?? ?